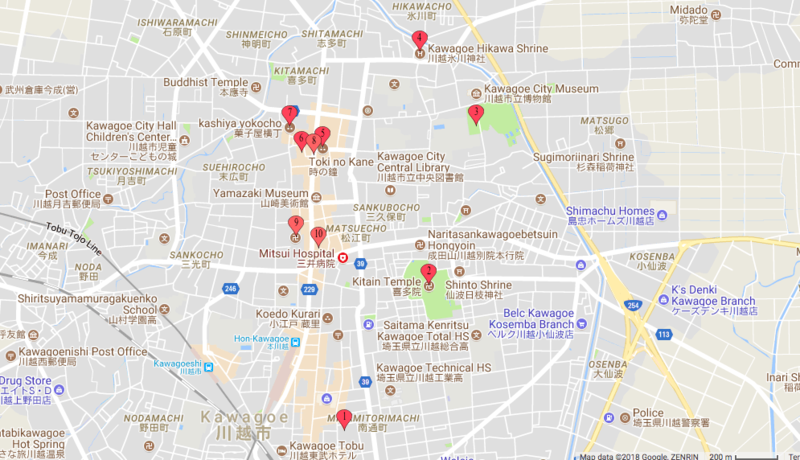 What To Do In Kawagoe Japan – During my first stay in Tokyo, I stayed at a friend’s house in Saitama Prefecture, which is at about an hour train ride from Tokyo. It was a good opportunity to discover the city and to get to know and understand the traditional Japanese lifestyle better. And let me tell you, I wasn’t disappointed at all! So for me, going to Kawagoe, northwest of Tokyo, was more of a coincidence and I had no idea it was going to be the very special experience it turned out to be. Ever since I visited Kawagoe for the first time, I try my best to visit it again every time I travel to Japan. It’s become like a pilgrimage for me because Kawagoe is one of the first places I visited in Japan and it will always be special to me. 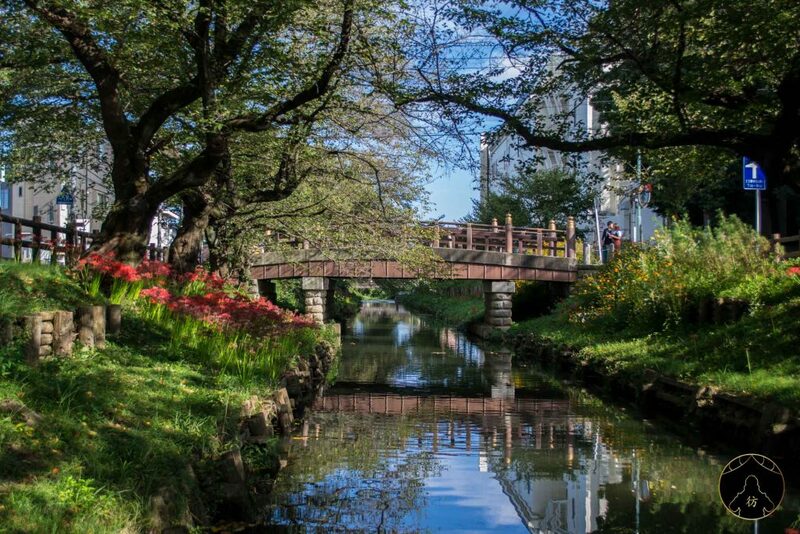 Before diving into this top 10 of my favorite places in Kawagoe, also known as Koedo or the little Edo, let’s see how you can get there and where you can stay. 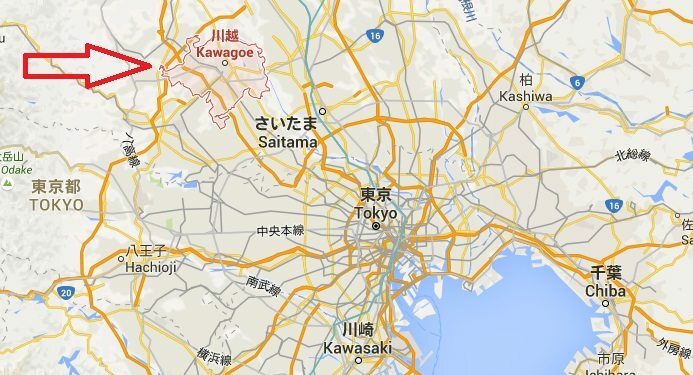 Kawagoe Japan – How to get there? To go to Kawagoe, your fastest option would be to take the Tobu Tojo Line from Ikebukuro Station in Tokyo. 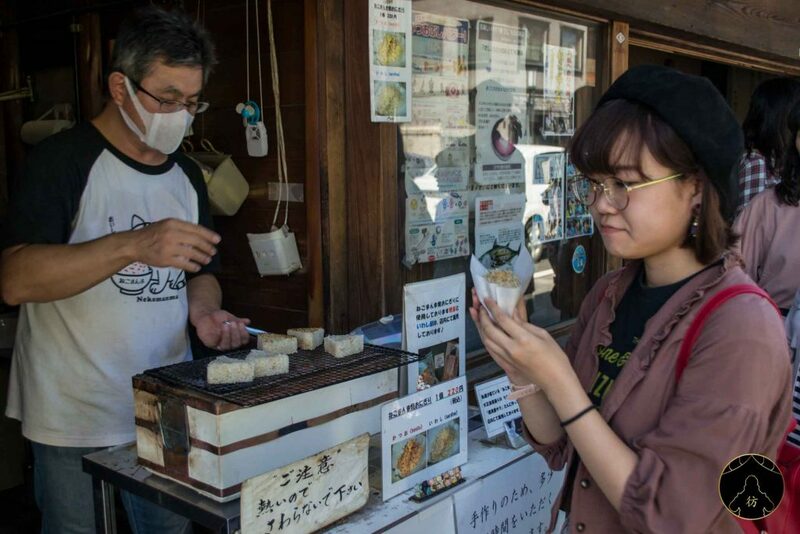 The trip lasts about 30 minutes and a one-way ticket costs 470 yen (around $4). Make sure to take the express line to avoid stopping at each and every station. As you can see, this line is not a JR (Japan Railways) line. So if you have a JR Pass, take the JR Saikyo (Rapid) Line instead to go to Kawagoe. It’s a longer ride that lasts about 50 minutes. If you plan to visit many places around Tokyo, maybe you should consider buying a Kanto Pass to save some money. Just as a side note though, keep in mind that in Kawagoe, you can visit all the places I’m going to tell you about without resorting to public transportation. Although Kawagoe is relatively close to Tokyo and the round-trip can be easily done in just one day, I think it’s still a good idea to spend one or two nights in Kawagoe. That way, you will have plenty of time to visit the city and experience its traditional atmosphere. 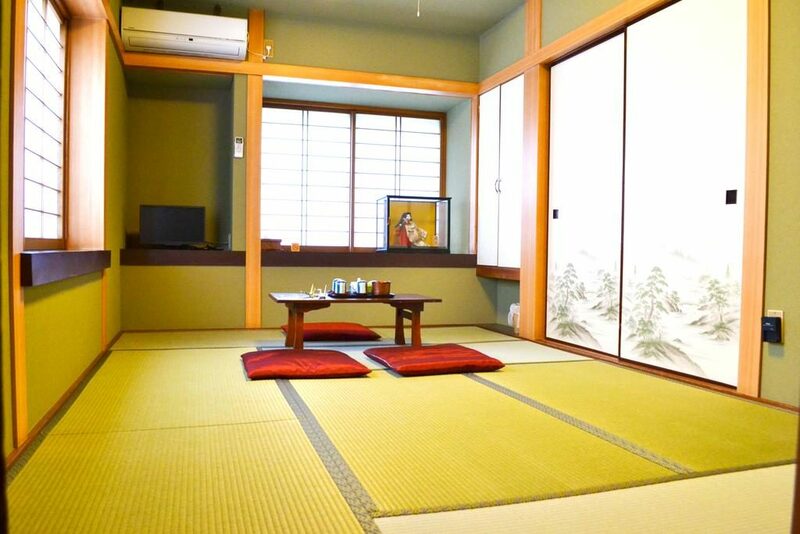 There are also very nice ryokan in Kawagoe and they are usually cheaper than in Tokyo. 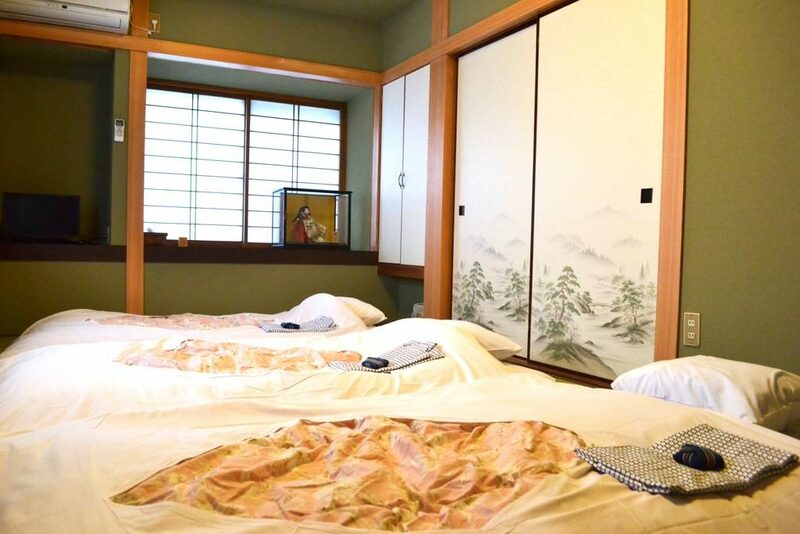 You can book a room at the Matsumuraya for example and enjoy a very authentic Japanese experience for about $58 per night. 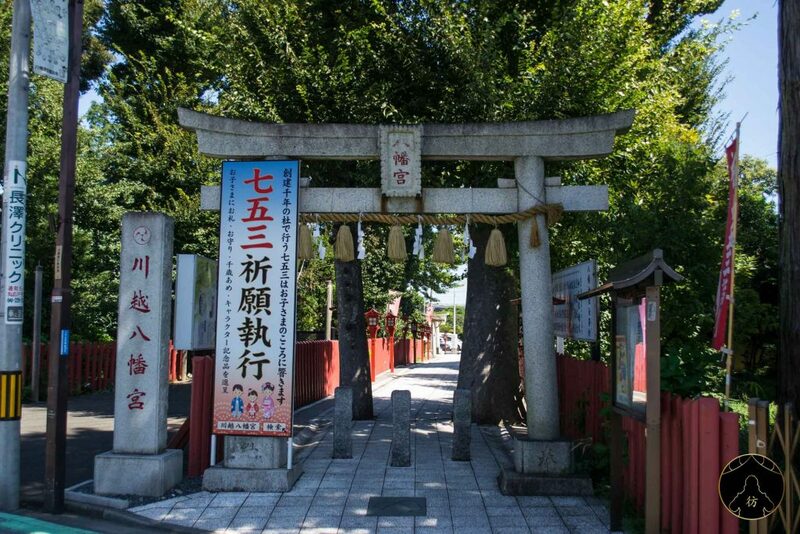 Let’s start our walk with the beautiful Hachimangu Shrine which is only 5 minutes away from Kawagoe Station. 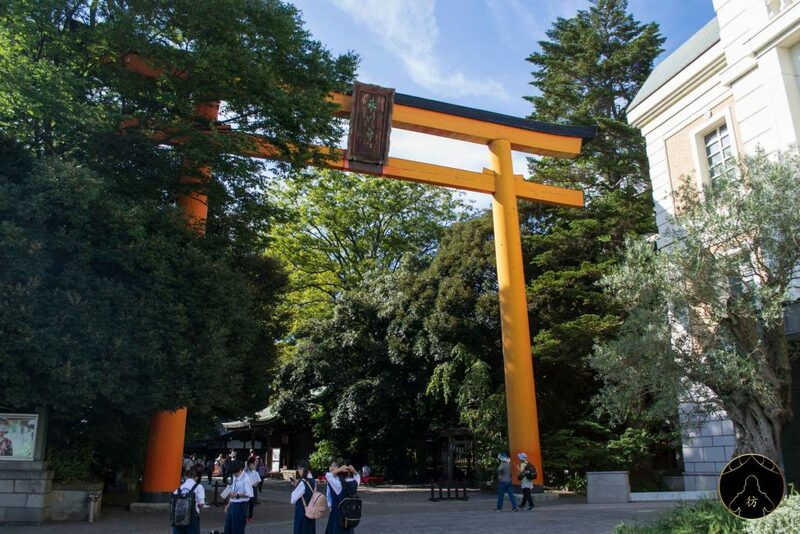 As you can see in the photo above, there’s an impressive stone torii that’s like the shrine’s front door. 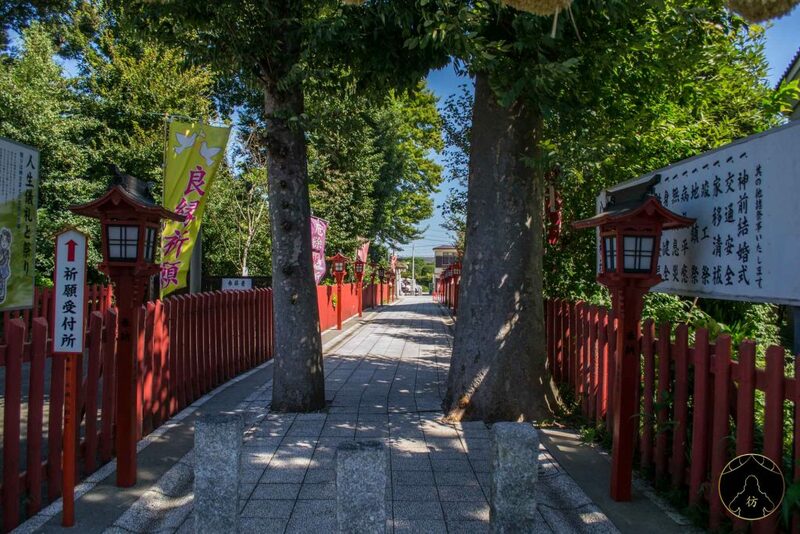 You will then walk along a paved path that is bordered by toro lanterns which are Japanese red lanterns often found in Shinto shrines. 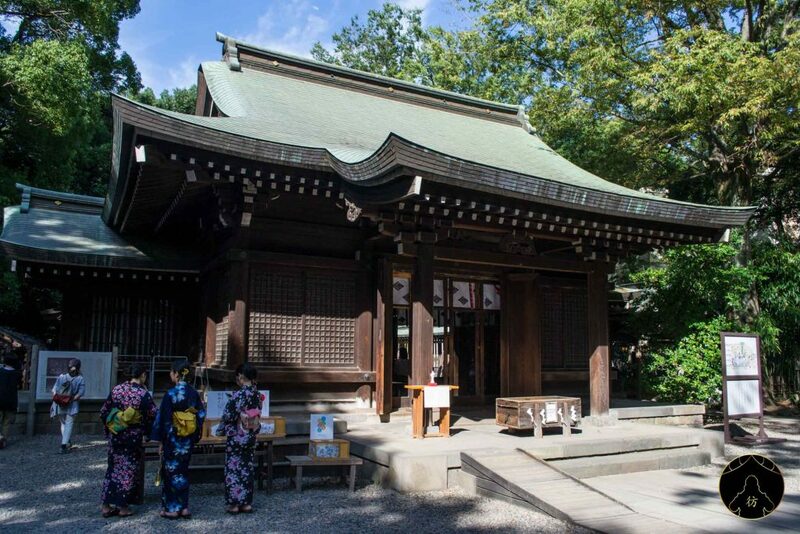 You will then get to the main building of the shrine. 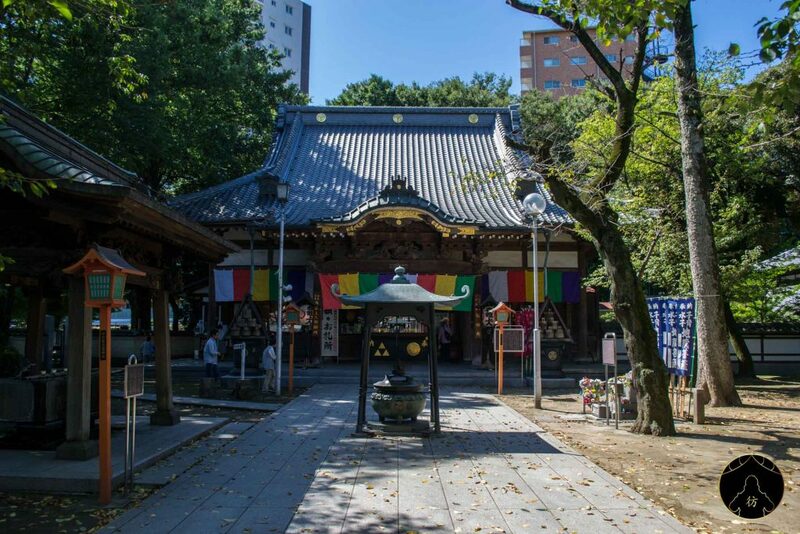 FYI, this shrine is dedicated to the ‘god of the game’ and many students or sportsmen visit it to pray in the hopes of succeeding at exams or sports competitions. 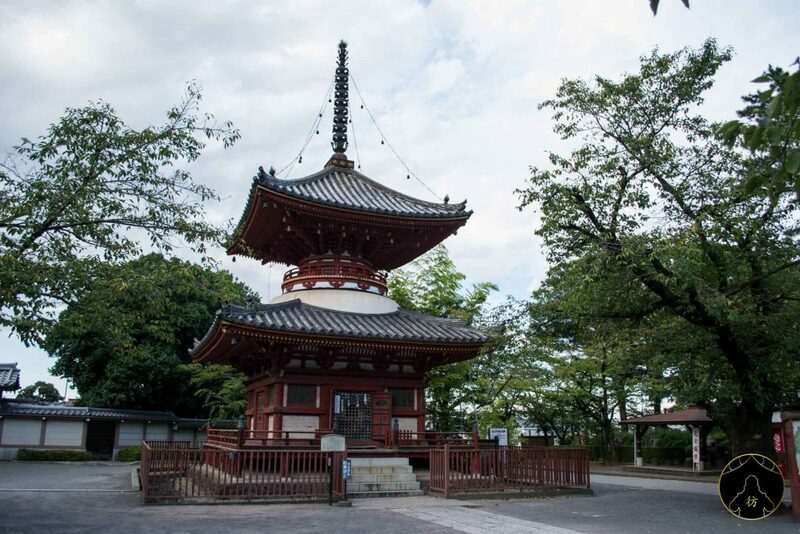 Hachimangu Shrine was built in 1030 and is therefore one of the oldest shrines in Kawagoe. 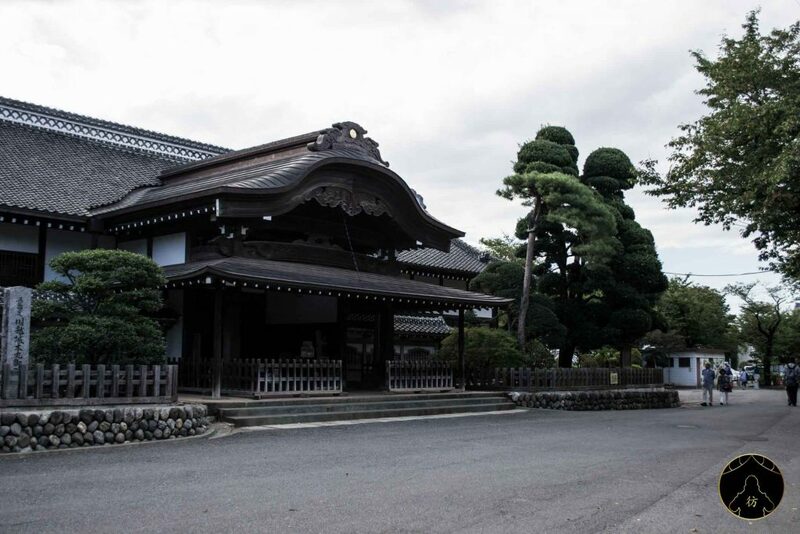 Kita-in is a Buddhist temple that was built in 830 during the Heian period. 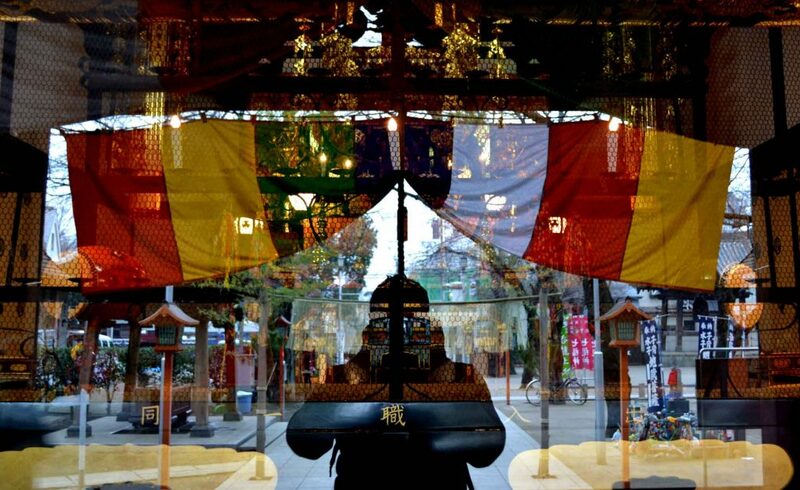 It is one of the most interesting attractions to visit in Kawagoe. 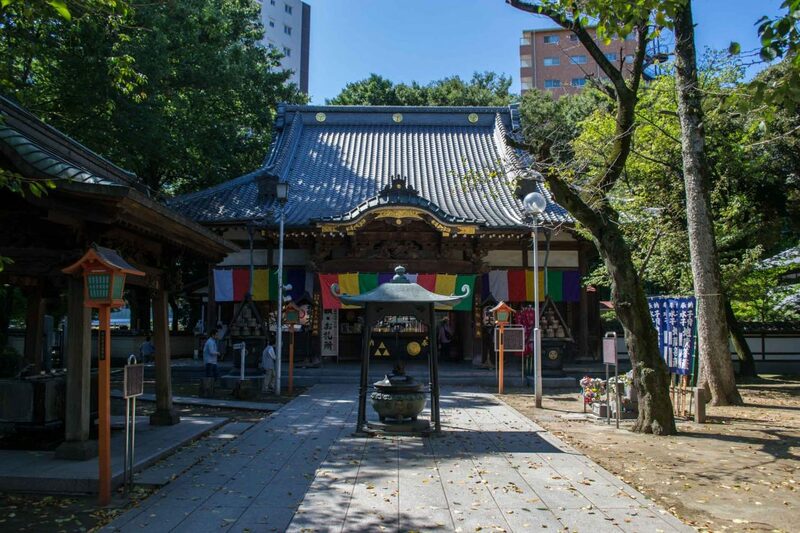 It is located at the center of a large site that has more than 500 Gohyaku Rakan. 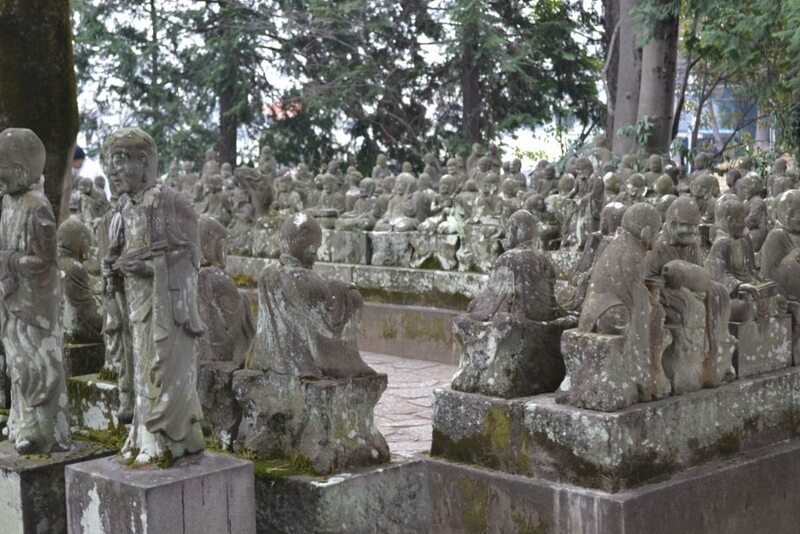 The Gohyaku Rakan are very rare stone statues that illustrate Buddha disciples. 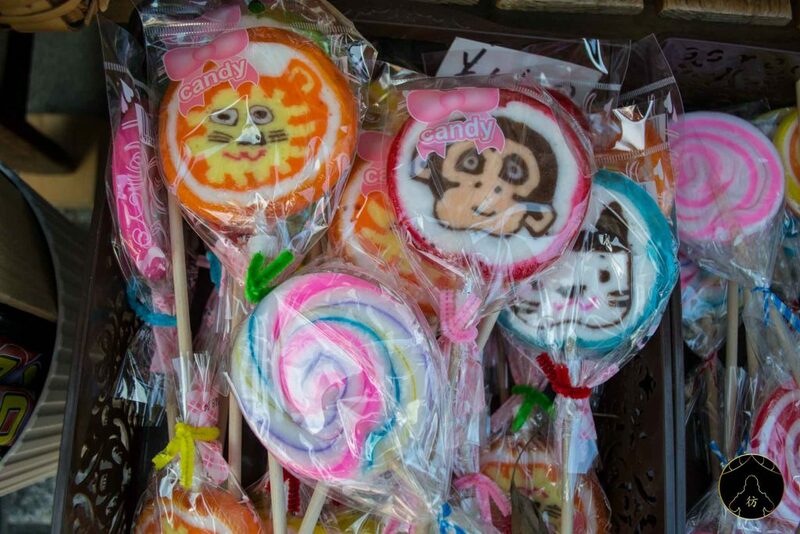 At first sight, they look similar but when you look closer, you’ll notice that they all have different faces. I remember it was quite disturbing to be surrounded by all those stone statues. The Kita-in temple is also known to have the last intact remains of the Edo Castle, the current imperial palace of Tokyo. In the 1600s, shogun Iemitsu donated part of the Edo Castle to Kita-in Temple, which was then severely damaged after it caught fire in 1638. You can still see many other beautiful buildings in Kita-in Temple; I recommend you spend at least a good hour there. 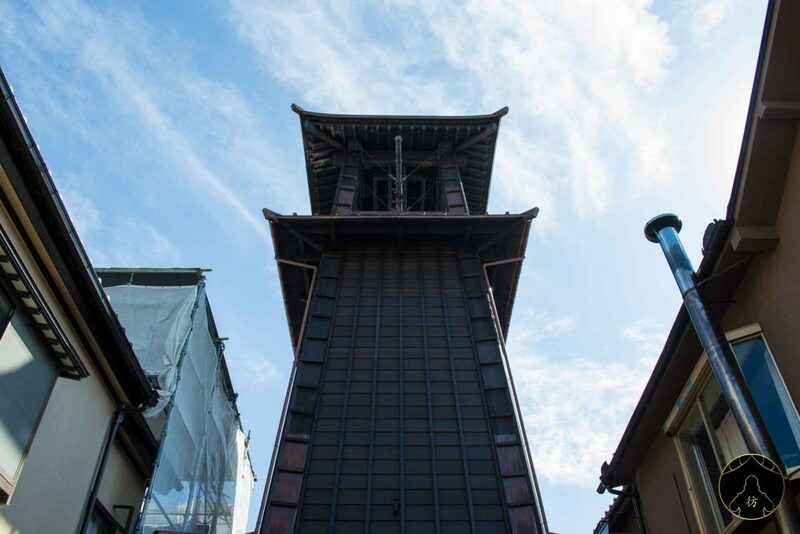 By the way, if you get to the northern entrance of the temple, you’ll see this great wooden bell tower which is in fact a replica of the big Toki No Kane bell tower mentioned below. Kawagoe Castle is a 10-minute walk from Kita-in Temple. Don’t expect a huge castle like the ones in Himeji or Osaka for example. The only building that survived time and war is the wooden palace you see in the photo below. 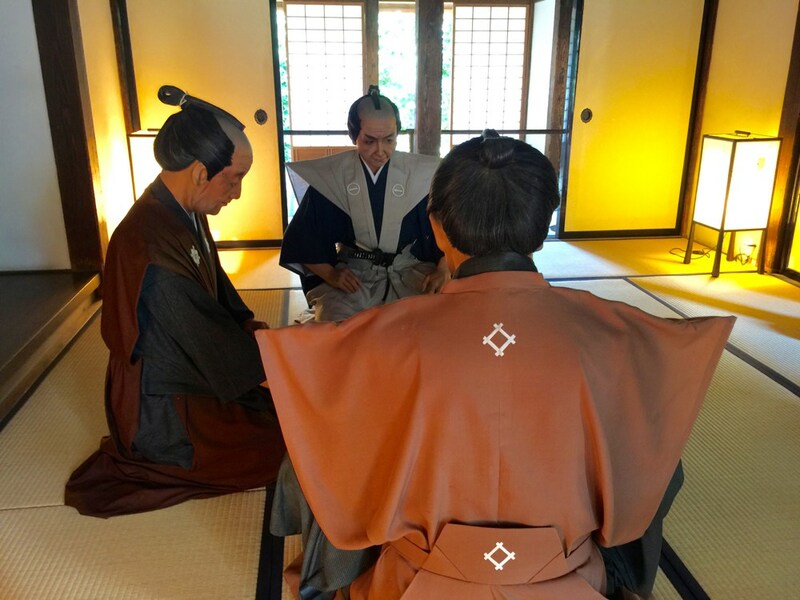 Today, it’s a kind of museum where you can see several vestiges of the Japanese feudal era and visit a beautiful garden and old rooms with tatami-covered floors. 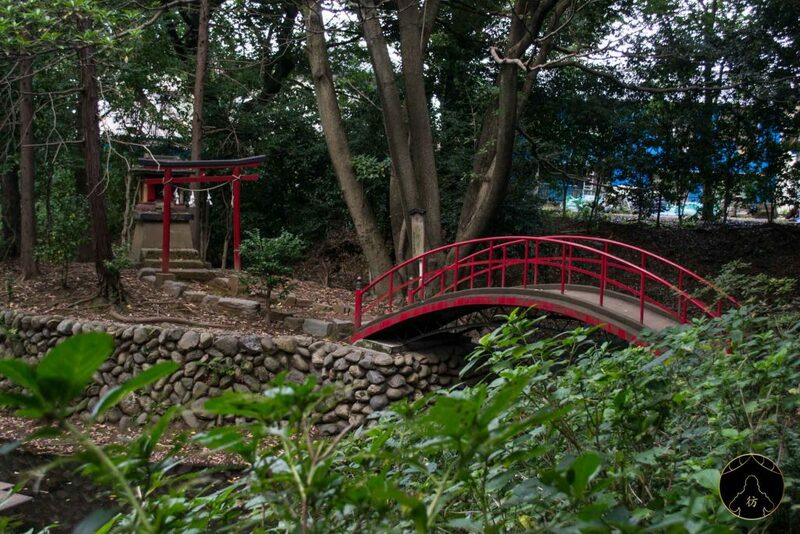 Let’s continue walking northwards to visit the beautiful Hikawa Shrine. It has a huge orange torii (I’m guessing it used to be red) that can be seen in the photo above. 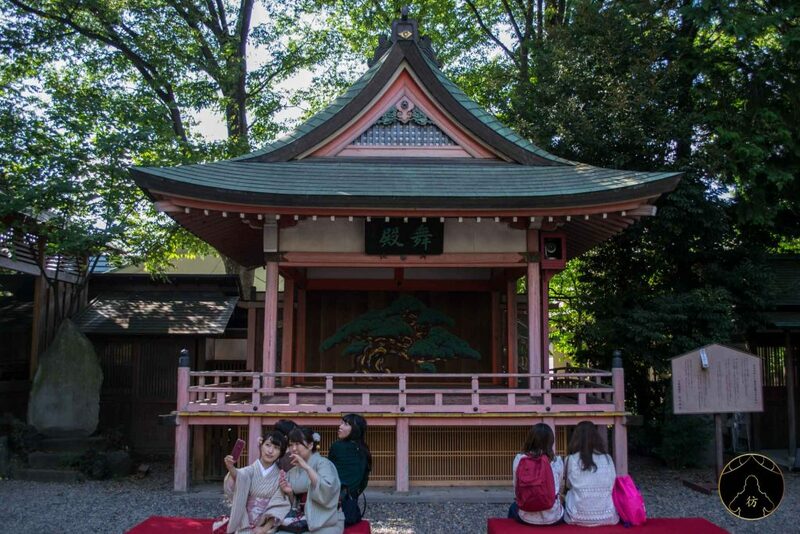 You will also find beautiful wooden buildings there and many girls dressed in kimonos. In Hikawa Shrine, you don’t get your omikuji (the little paper that predicts your future) like you would in other shrines. 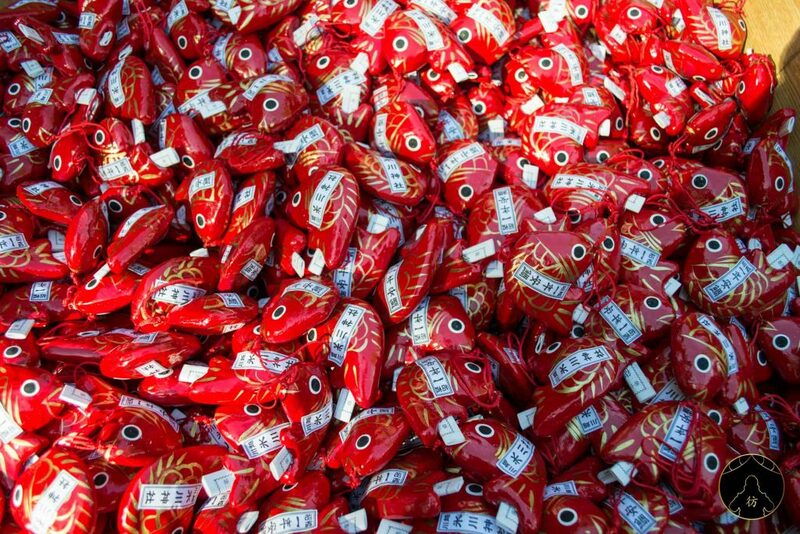 Usually, omikuji are randomly picked from wooden boxes, but at Hikawa Shrine, omikuji are found inside goldfish that you must fish with your eyes closed. If your omikuji predicts fortune and glory, keep it with you. 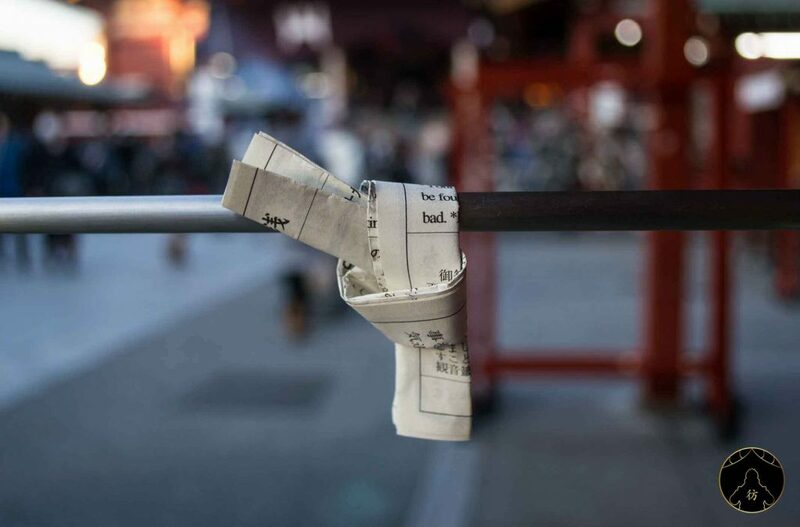 If it predicts bad things, tie it up and leave it at the temple. They will later be burned to ward off the spell. There’s a river behind the temple and I think it’s my favorite spot in this part of Kawagoe. The river banks are covered in flowers and I think it is the ideal spot to eat something or relax. 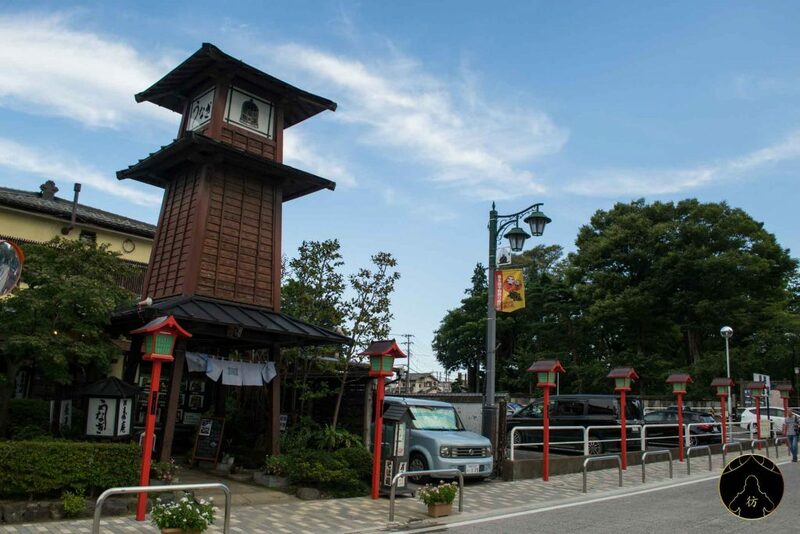 Moving on to the busiest part of Kawagoe, let’s stop at the city’s bell tower. It is called Toki No Kane in Japanese and is thought to be built in the Edo period. It is still used today so you will hear the bell ring four times a day, at 6AM, 12PM, 3PM and 6PM. 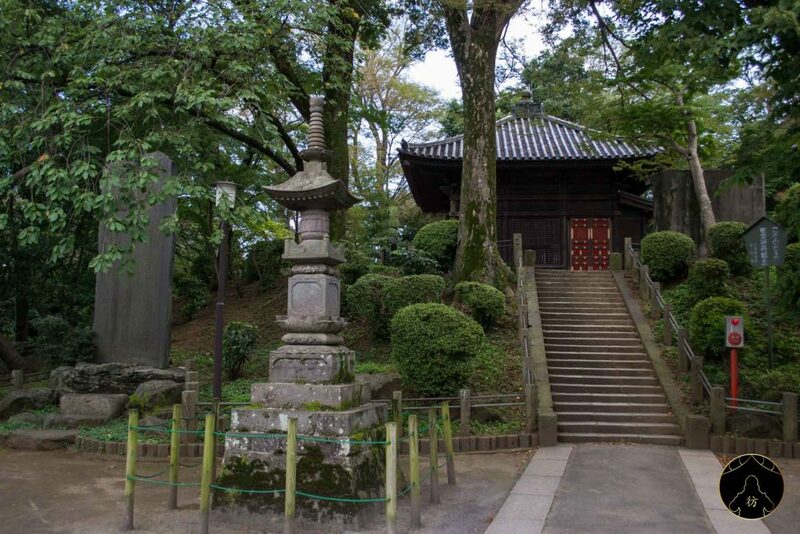 Not far from the bell tower, there’s a beautiful shrine called Yojuin that is rarely crowded with tourists. 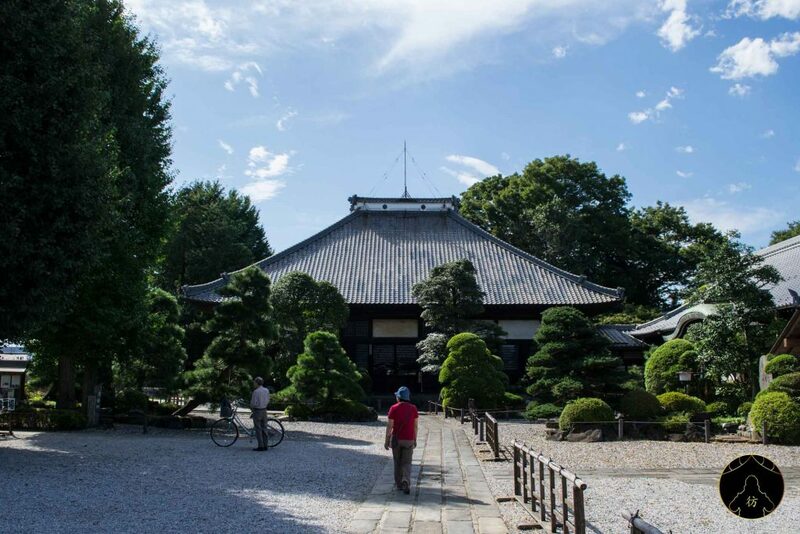 It made it to this list of Kawagoe’s major attractions because of its beautiful Japanese-style garden. 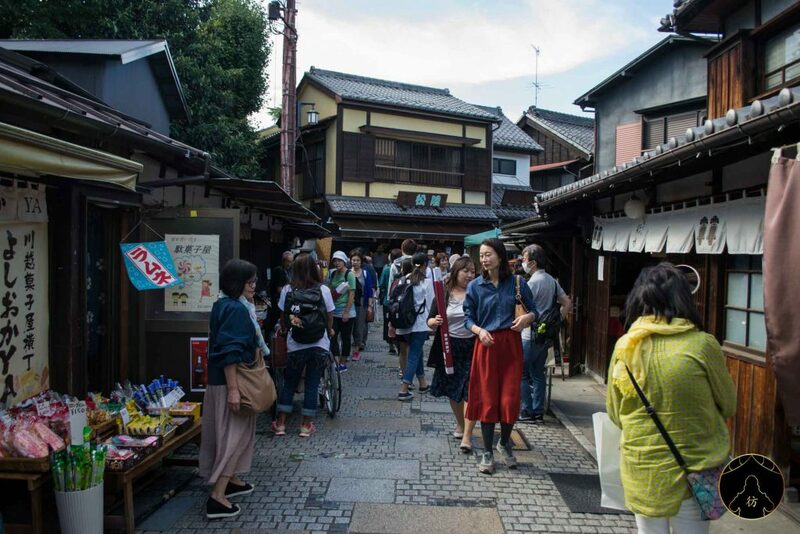 Literally ‘candy alley’, Kachiya Yokocho is very popular in Kawagoe. 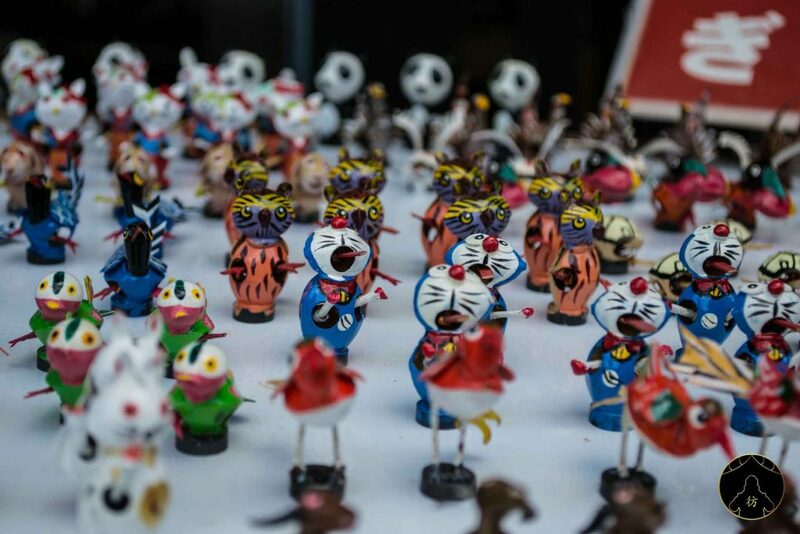 As the name suggests, it is a pedestrian street where you will find many shops that sell all sorts of candy but also miniature toys. It’s a very friendly place with a great atmosphere so don’t miss out on this! 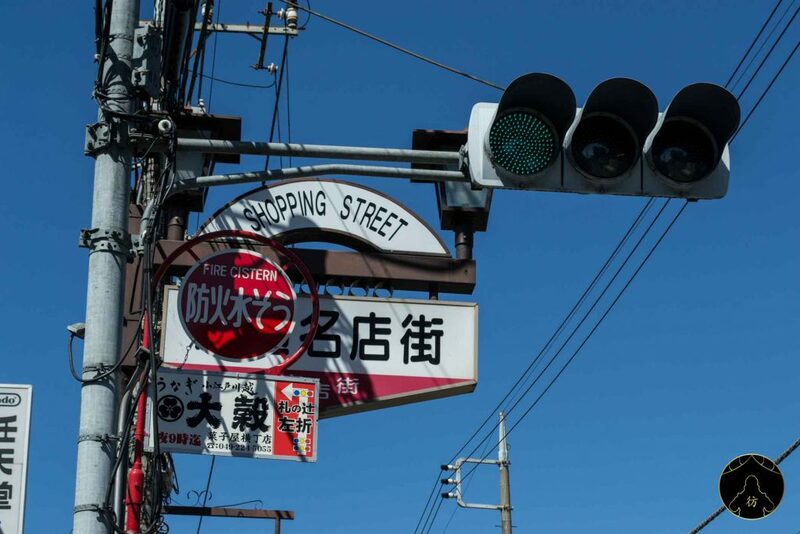 There is another shopping street not far from Kachiya Yokocho, with many souvenir shops as well as restaurants and pubs serving local specialties. They’re cheaper than Tokyo so definitely give them a try! 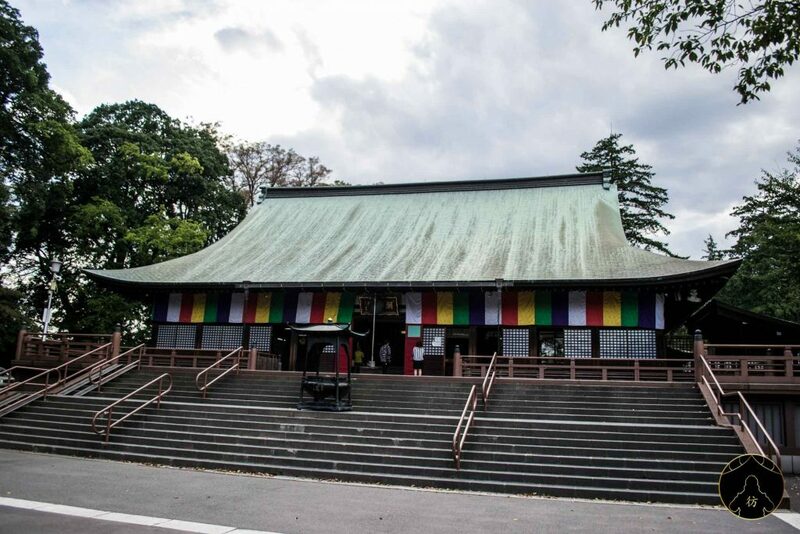 It is one of the very first temples I visited during my first 2 week-trip to Japan. I think something clicked that day, or maybe a chakra opened and I had an epiphany, I don’t know! But I know that this temple had a lot to do with my decision to give up my life as an engineer and become a blogger. It’s also where I took this picture that inspired the logo of my blog, five years later. So if you’d like to visit the birthplace of Asian Wanderlust, Reikei-ji Temple is where it’s at. Who knows, it could be just as inspirational for you too! 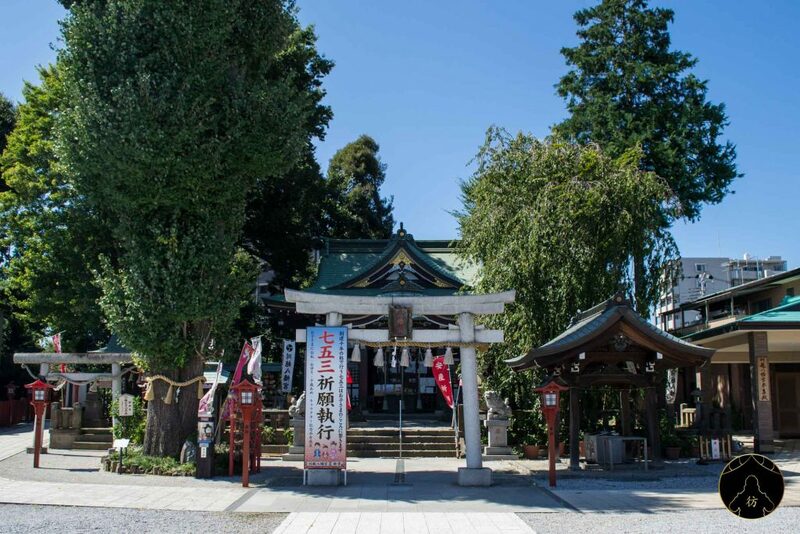 Last but not least in this list is Kumano Shrine. 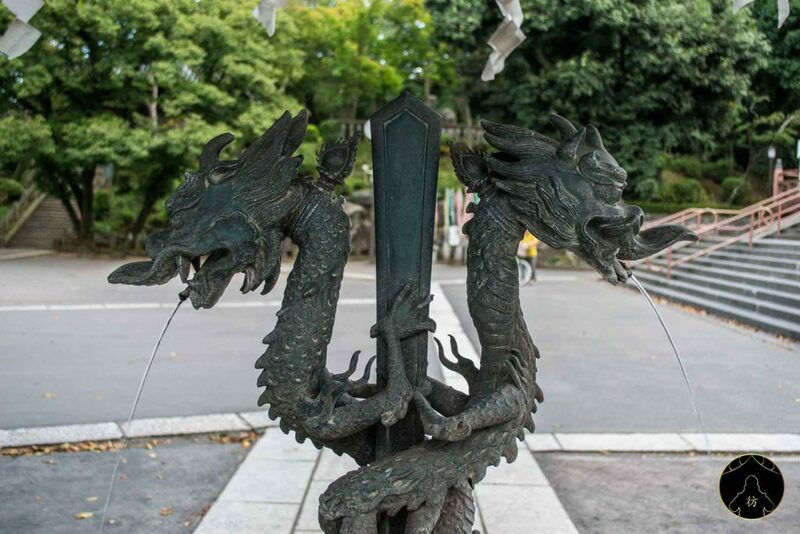 This shrine is known for having a magic pool that brings fortune and abundance. 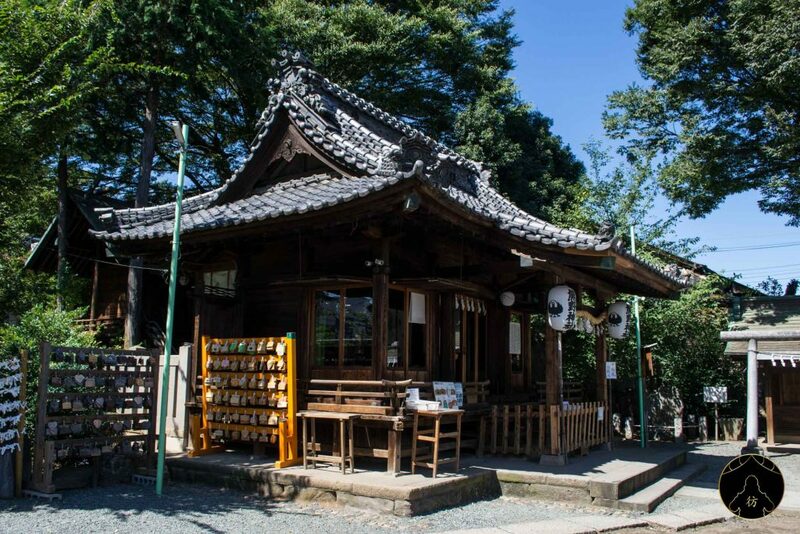 For that you’ll have to place coins or bills in a small basket and wash them with sacred water, same as in Zeniarai Benten Shrine in Kamakura by the way. 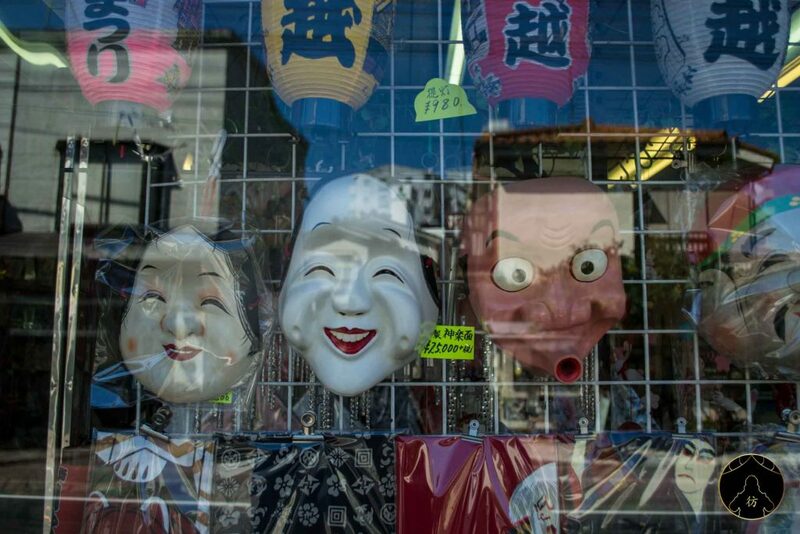 This is it for what to do in Kawagoe Japan! As you can see, it is a city that means a lot to me and that will make you discover a very authentic and captivating Japan. To follow my adventures in Asia, you can subscribe to my social media : Facebook Page, Facebook Group, Instagram and Pinterest. Cheers for this blog post, really appreciated!